Areas of Research: Northern Ireland. Special Interests: County Down research; Return migration; Island communities. Beverly spent thirty years teaching art and art history, before taking early retirement in 2002, after which she was able to concentrate on her main interest – genealogy and family history. Beverly studied the subject for three years with the University of Strathclyde, Glasgow, qualifying in 2012 with a master’s degree in genealogy. 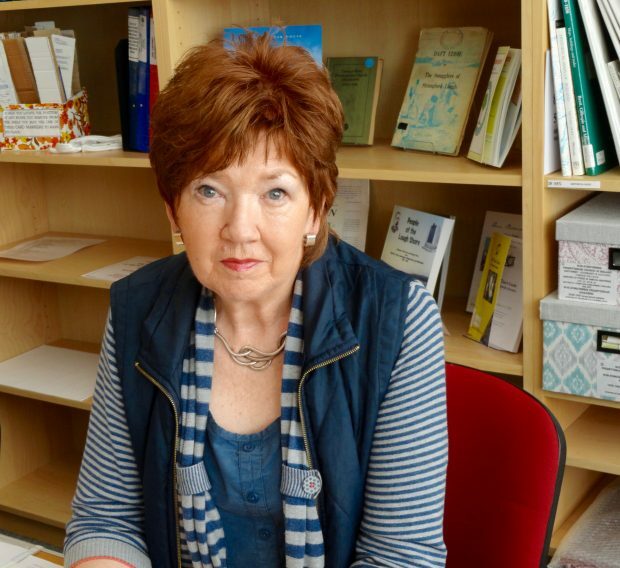 Although now a professional genealogist, Beverly likes to consider herself more of a family historian and is passionately interested in the local and social history of County Down. While specializing in ancestral research in the County, she is happy to carry out research across the province and further afield as required. Beverly is a member of the North of Ireland Family History Society (NIFHS) and a regular contributor to the Society’s ‘Roots’ journal. Currently, she is the Publicity Secretary for the North Down & Ards Branch.